Once summer in Ibiza is in full flow it becomes a hub for all kinds of events. From weddings to restaurant openings to fashion shows, there are a range of personal and corporate shindigs happening each and every day on the island. That’s thanks in part to the sunshiney weather and stunning venues, but also because companies know that if they come to the White Isle, they’ll get 100% professional service from event planners like us. It’s not just obvious things like weddings, concierge requests and birthdays that we cater for at Taste; corporate companies who need experts with insider knowledge also employ our skills. That’s because we know the island inside out, so whatever you need help organising, we can turn our hand to it. It’s for this reason that back in March, leading Luxury PR company B Public Relations contacted us for assistance with a product launch on Ibiza. The product in question was the Bondi Sans Self Tan Eraser; the project was a series of launch events at several key venues over a period of a few days that would launch the product on a global scale. Our role was to produce a bespoke itinerary for each of the nine brand ambassadors attending the events, a challenge we approached with relish. So, using our contacts, we arranged social gatherings at a number of Ibiza’s leading hotspots. From Lío, the beautiful club in Marina Botafoch; to Nikki Beach, the ultimate daytime playground; to STK, the internationally famed restaurant; to Pacha, Ibiza’s oldest club, we even held one launch party on a luxury catamaran. The main purpose for using all of these incredible venues was to create content for Bondi Sands Worldwide Brand Ambassadors to share across their social networks, something they were able to achieve with ease thanks to the amazing backdrop. In attendance at each of the events was a group of some of the most influential people in the online sphere from countries including the UK, the States and Australia. Between them, they have almost 13m followers, and with Instagram stars like Ashy Bines, Stephanie Smith, Shani Grimmond, Holly Hagan, Chloe Sims, CC Clarke, Sarah Ashcroft, Christen Dominque and Iluvsarahii on board, it was a bona fide marketing hit for Bondi Sands Worldwide. Some of the UK’s most well-read magazines, including Hello Online UK, LOOK Magazine, OK Magazine, Marie Claire UK, and Cosmopolitan UK, were also invited, ensuring quality coverage was guaranteed. For us here at Taste, it was a privilege to be involved in such a prestigious series of events that launched a world first in the tanning market. 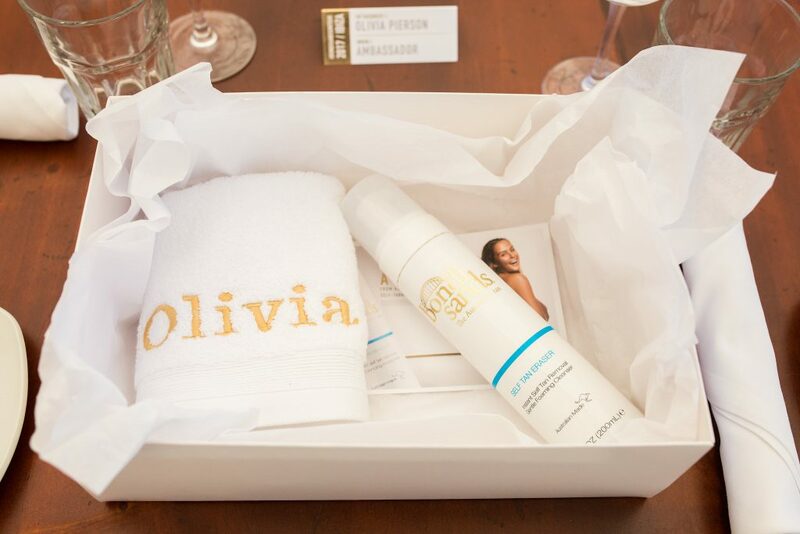 And, now we’ve had the opportunity to try the product we had a hand in launching, we couldn’t recommend it more highly! 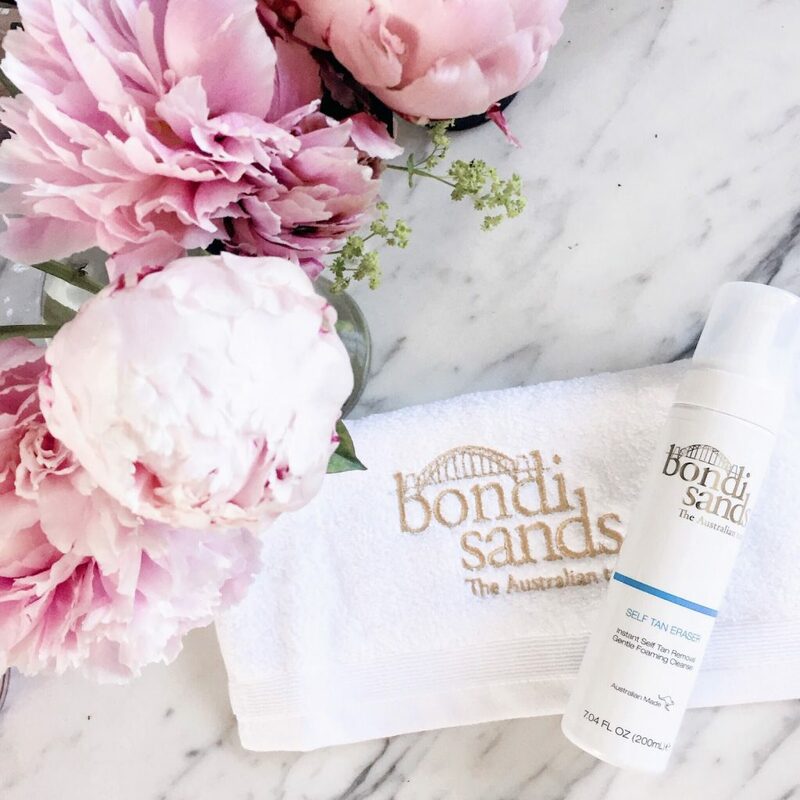 The Bondi Sans Self Tan Eraser is a must for any cosmetics cupboard, especially if you’re a fan of getting your tan on with a little help before you hit the beach. It effectively and naturally removes any signs of your previous patchy fake tan, preparing your skin for a brand new, streak-free top up – all within five short minutes. We’ve not been able to stop using it since, trust us. Head to bondisands.com for more info.